Let your imagination carry you to the extraordinary world of Plum And Pickle. In this world, a circle is much more than just a shape, boxes reveal surprises and you won’t believe what a triangle can do! 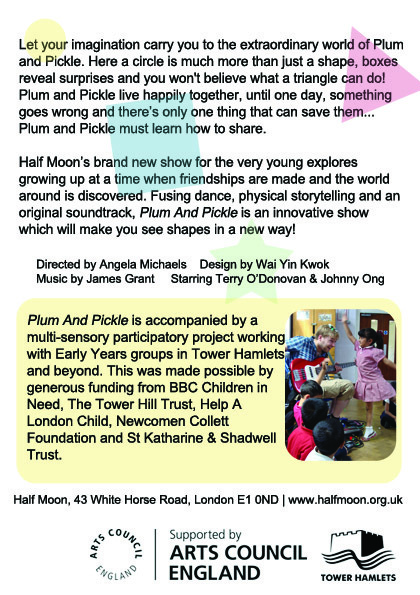 Plum and Pickle live happily together, until one day, something goes wrong and there’s only one thing that can save them… Plum and Pickle must learn how to share. 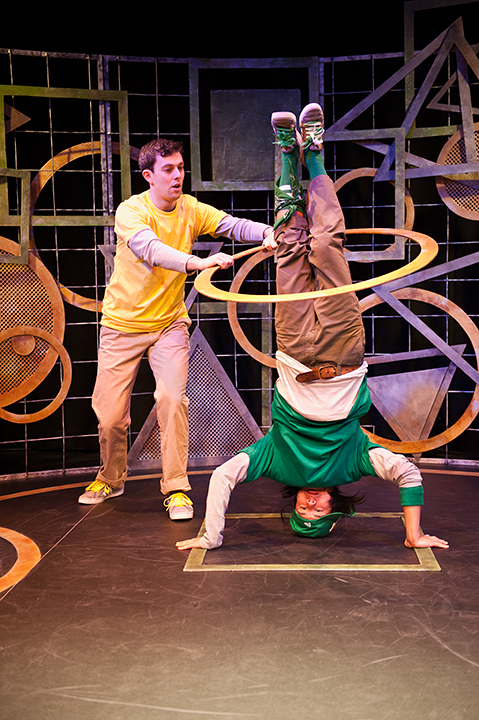 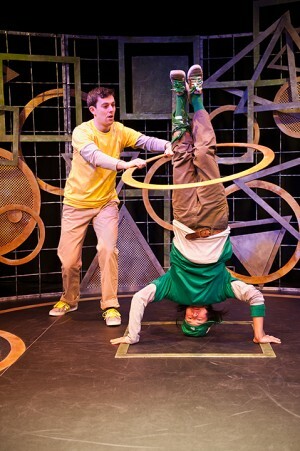 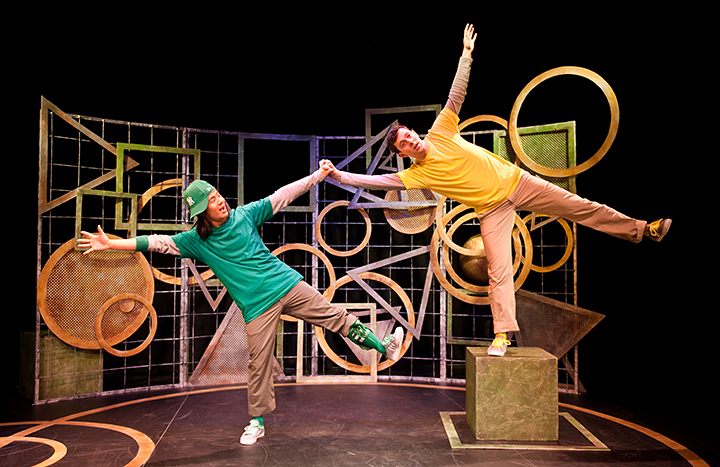 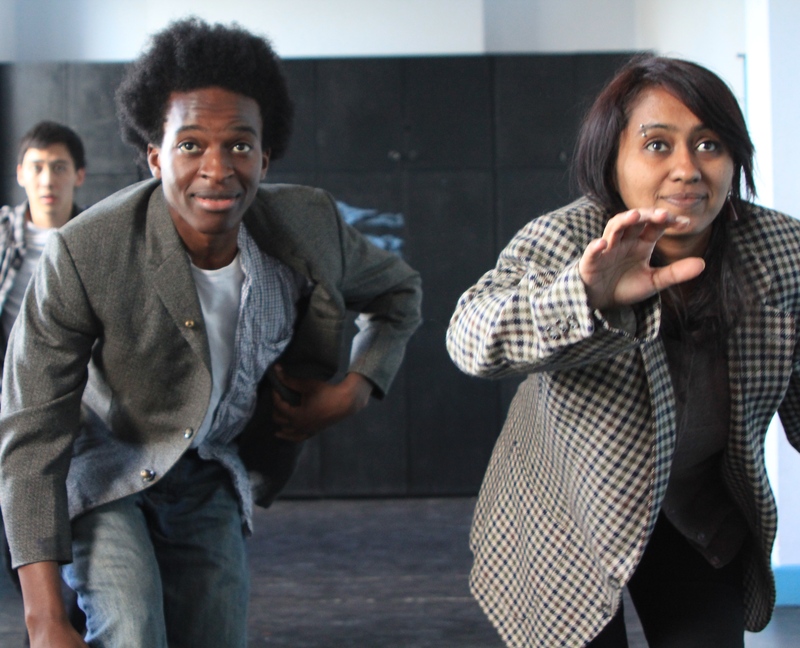 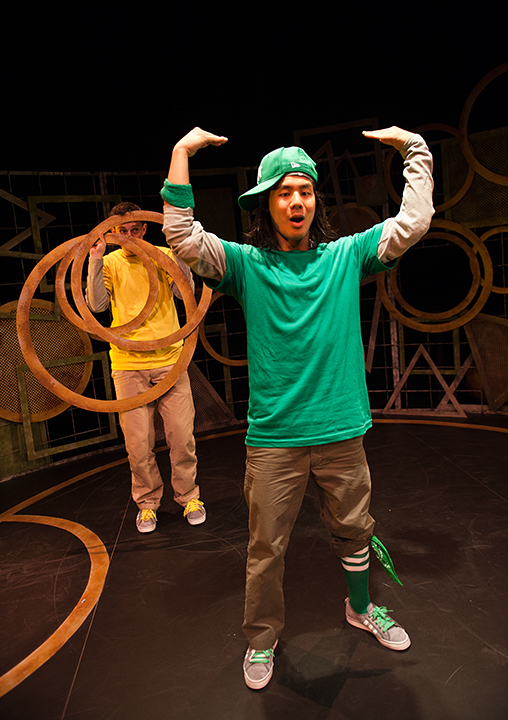 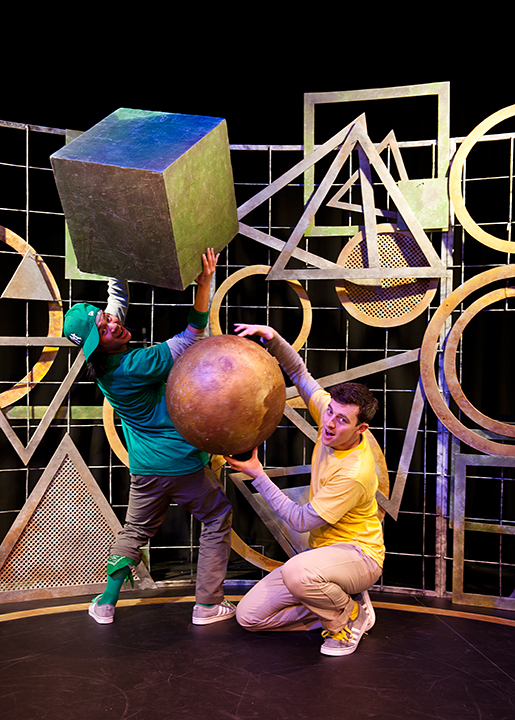 This production for the very young explored growing up at a time when friendships are made and the world around is discovered. 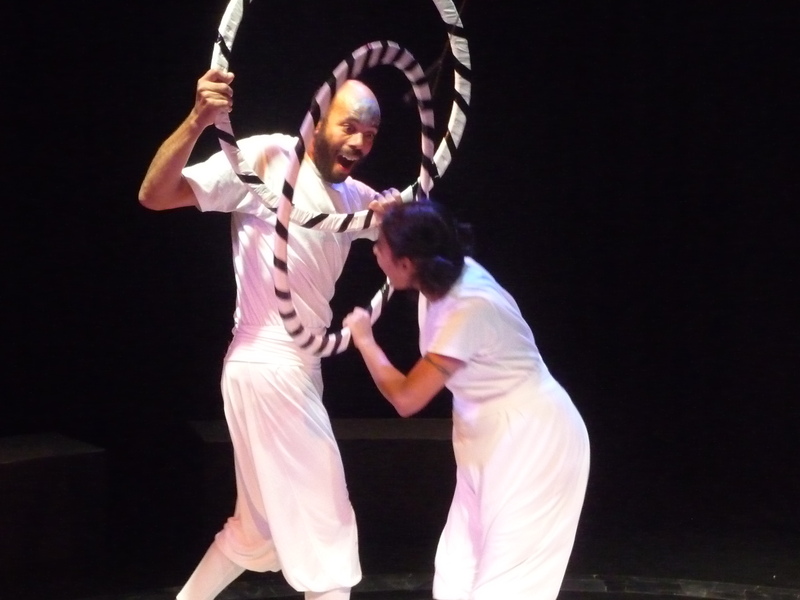 Fusing street and contemporary dance styles and a pulsating soundtrack, Plum And Pickle asked audiences to look at shapes in a new way. 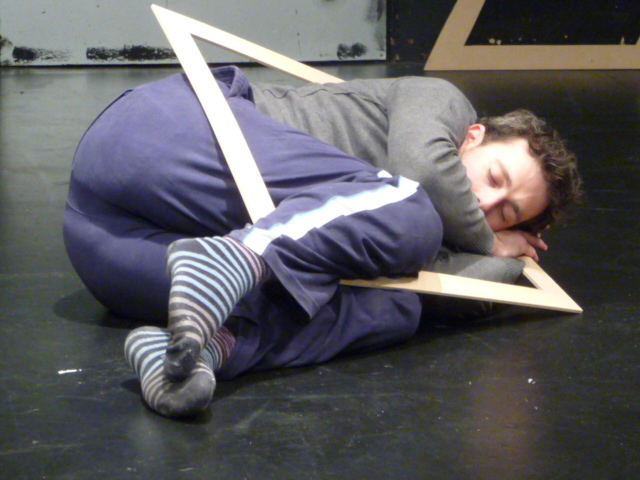 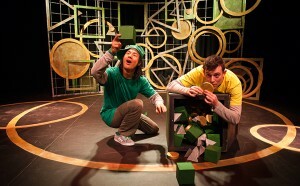 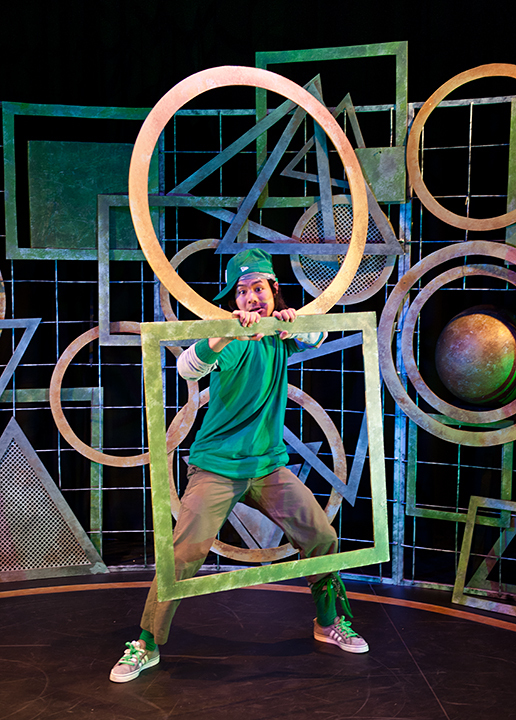 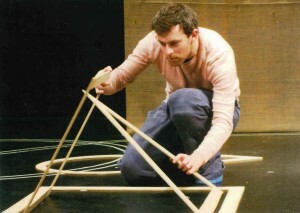 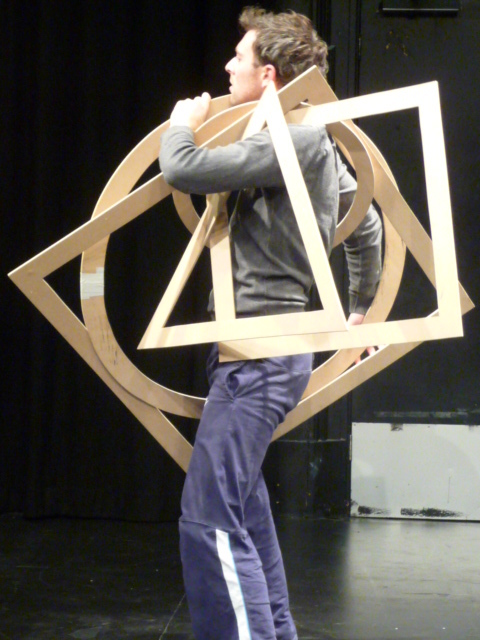 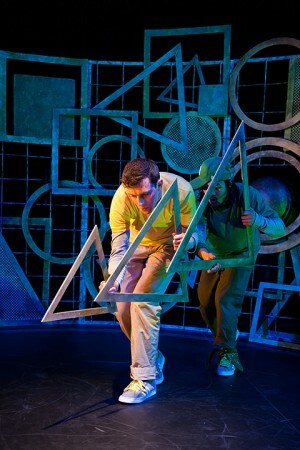 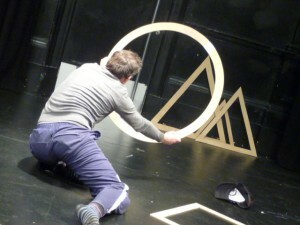 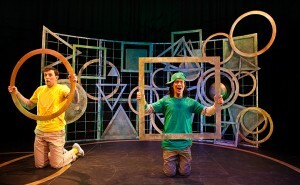 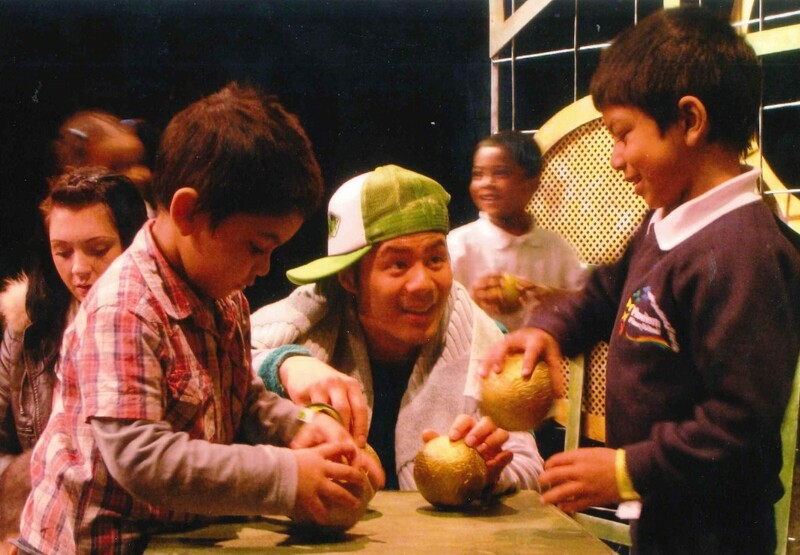 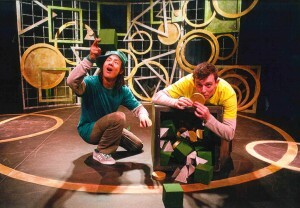 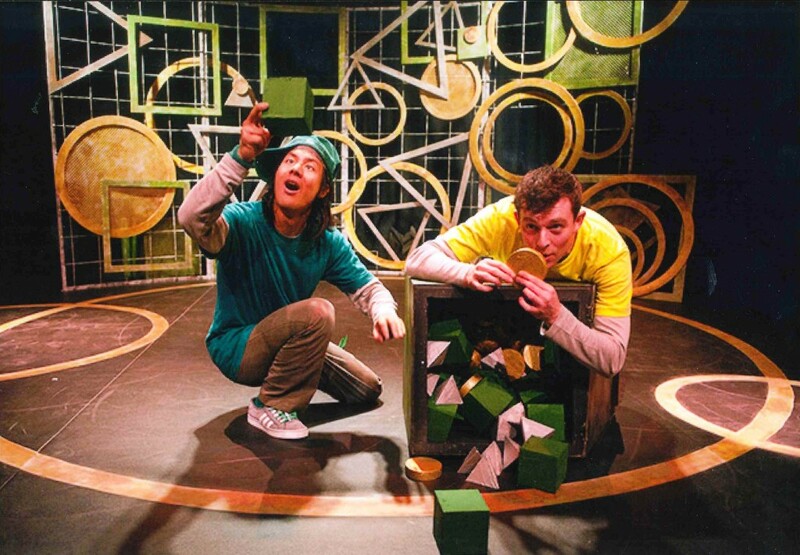 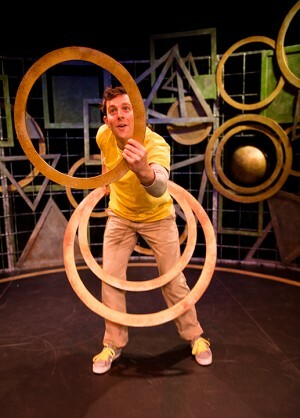 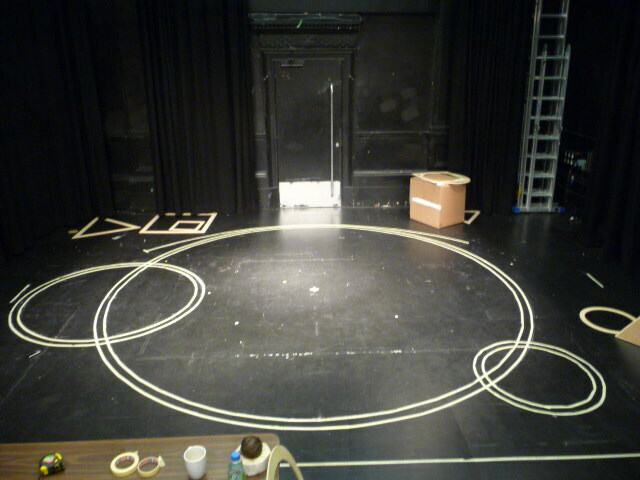 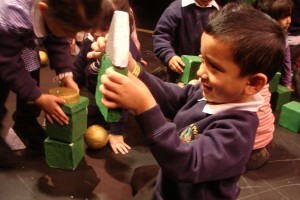 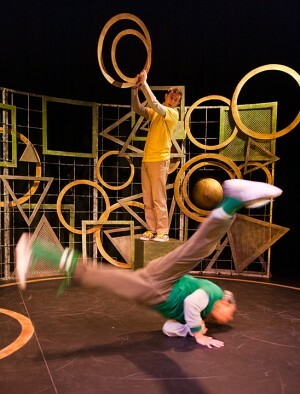 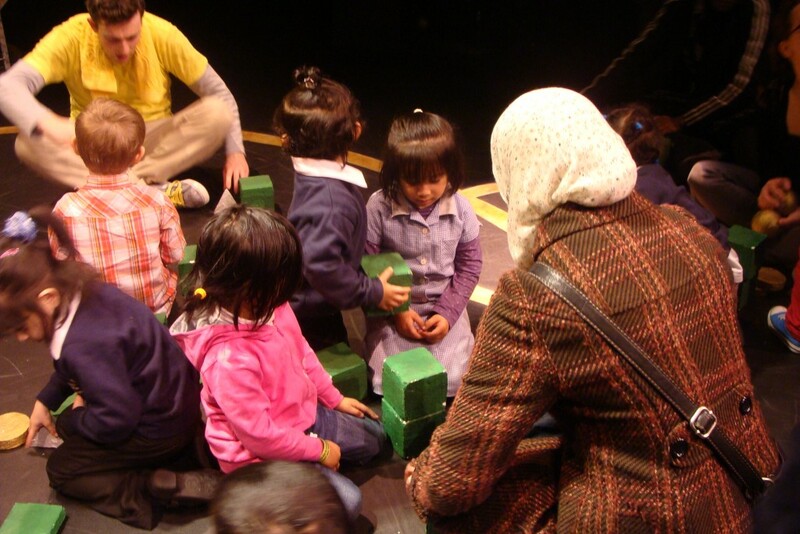 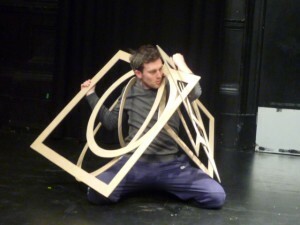 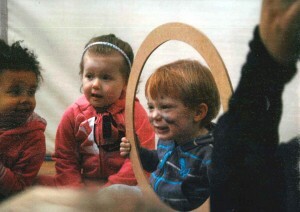 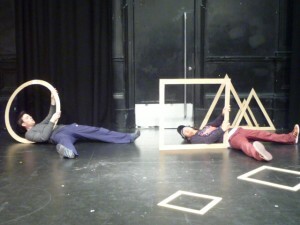 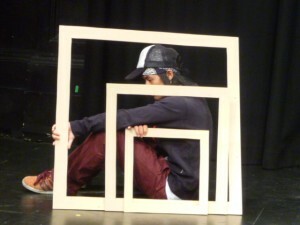 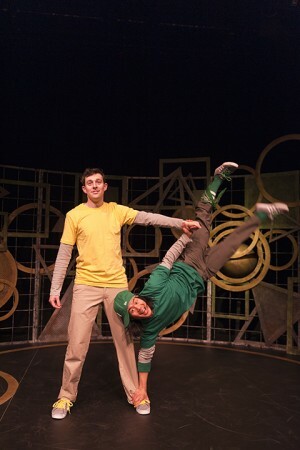 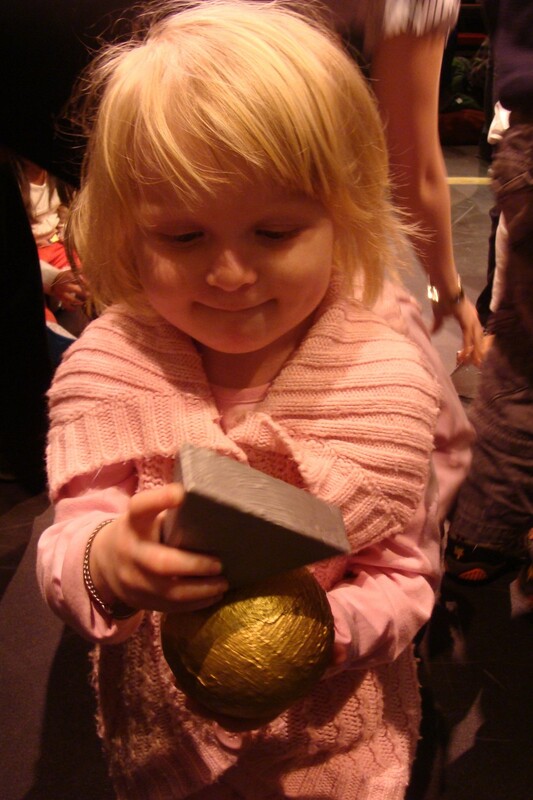 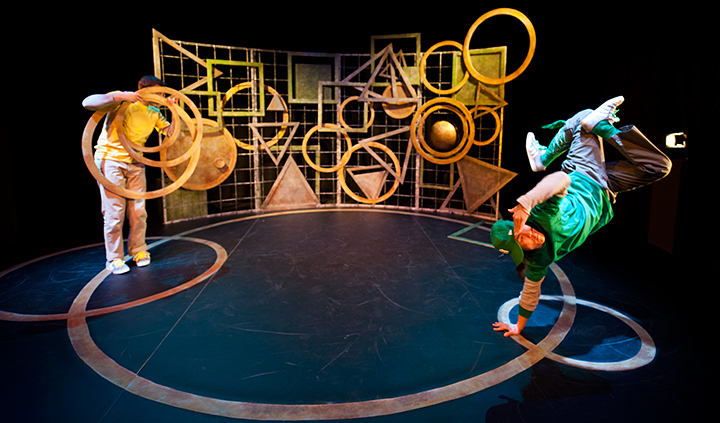 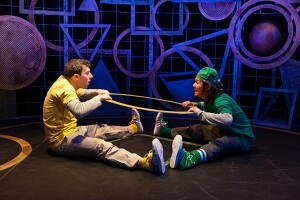 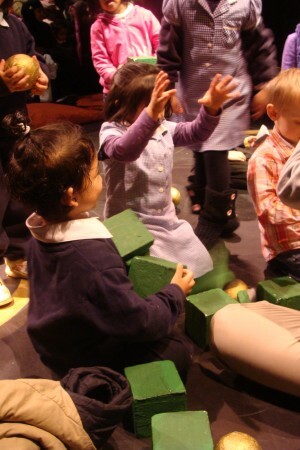 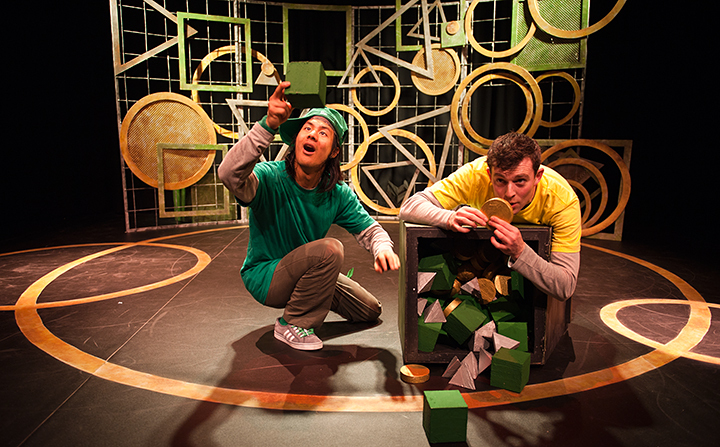 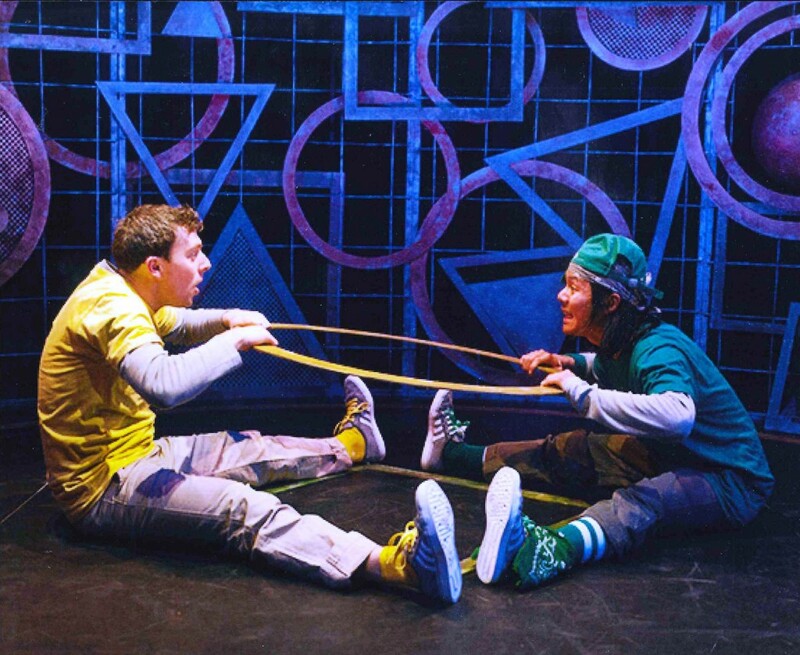 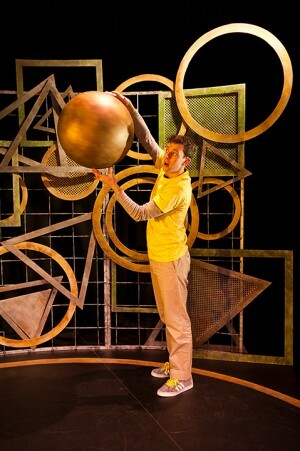 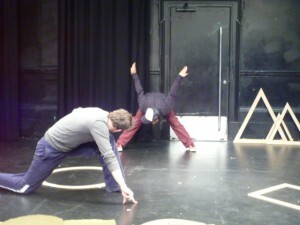 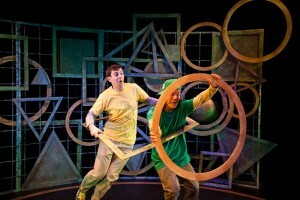 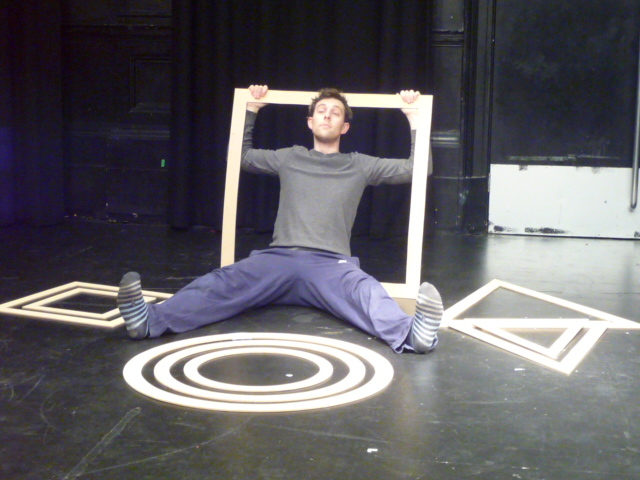 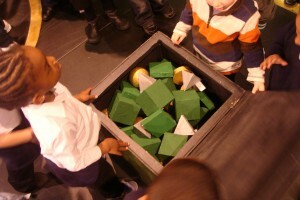 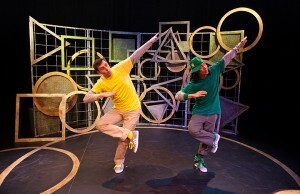 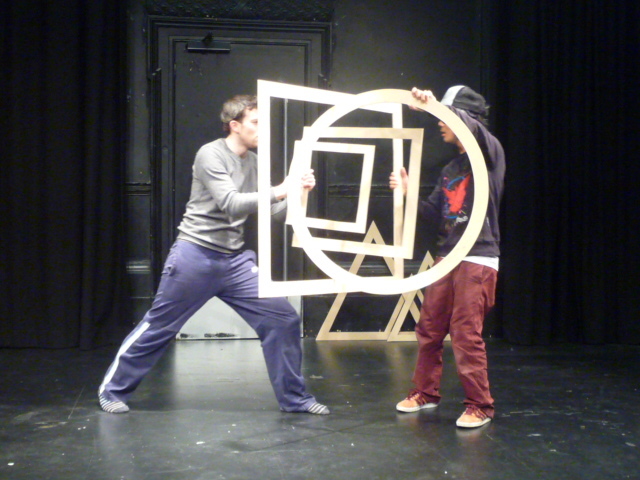 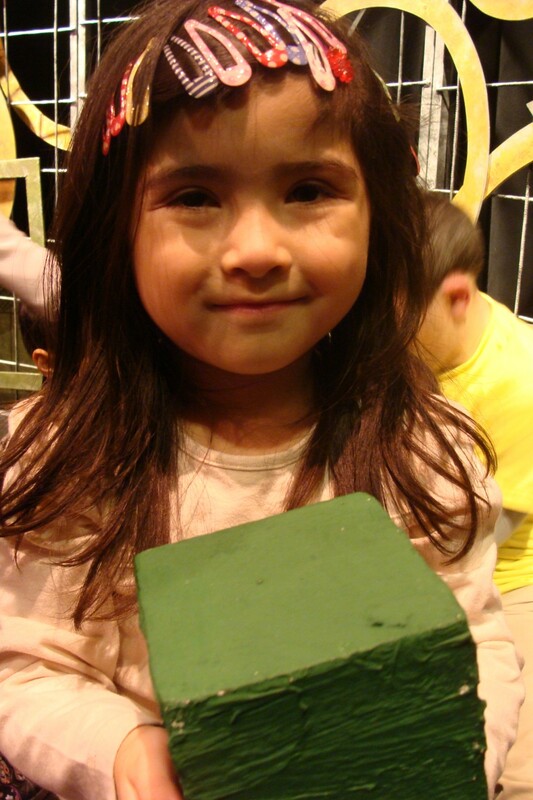 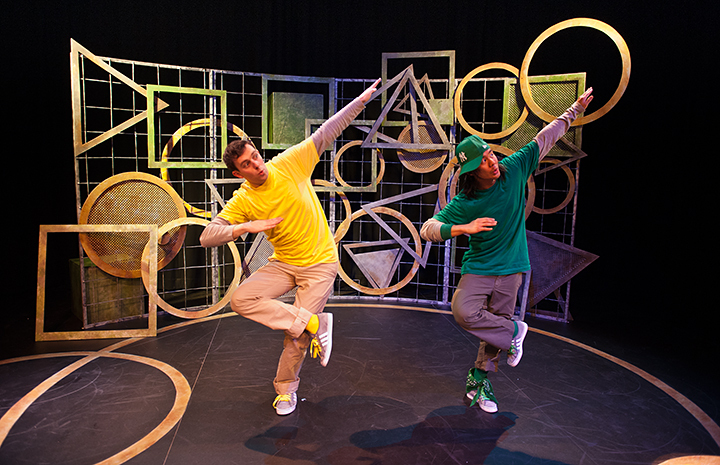 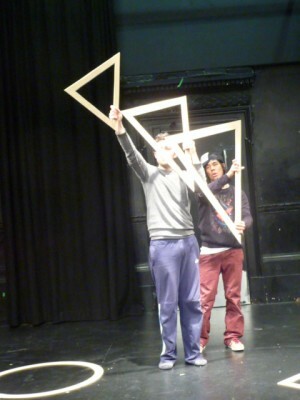 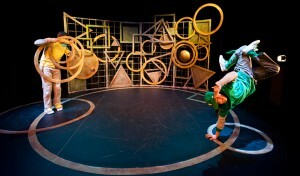 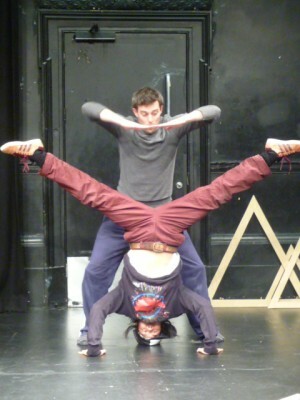 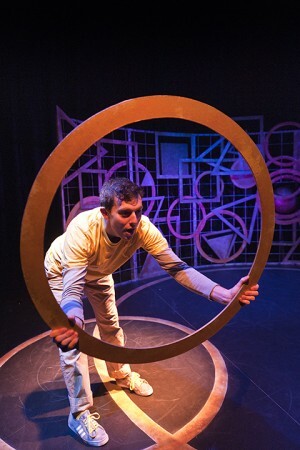 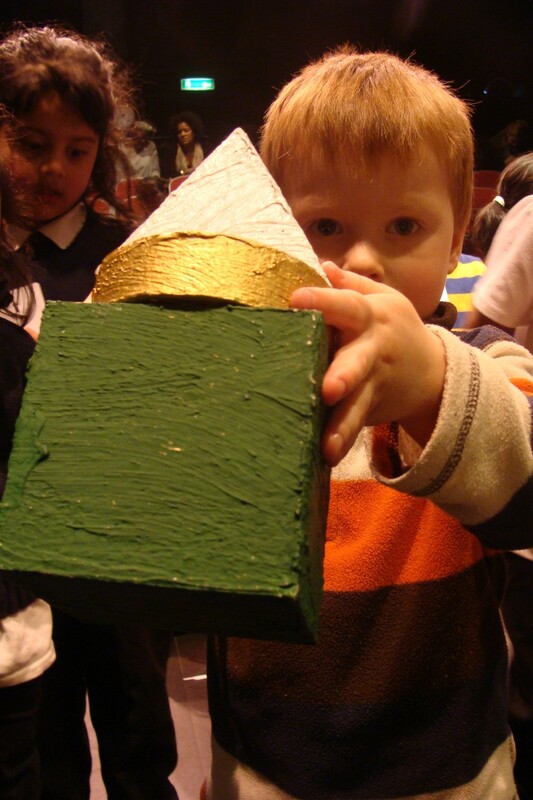 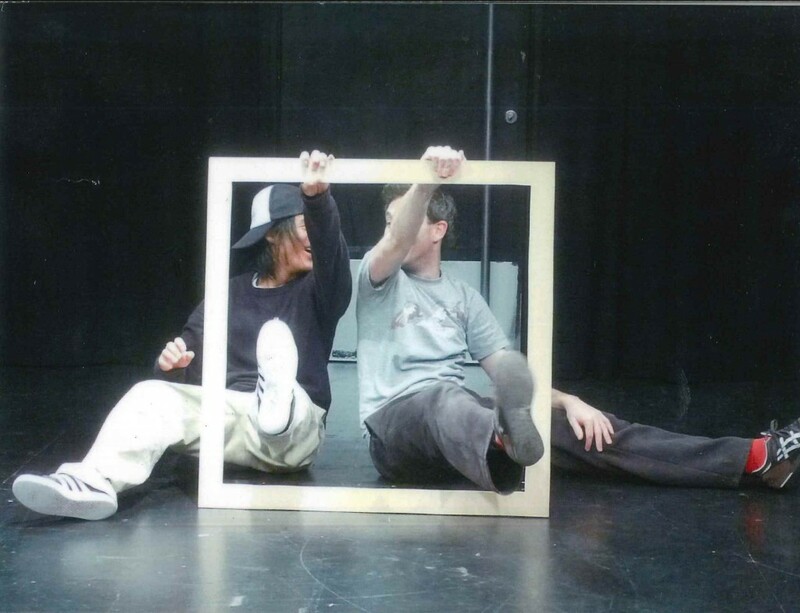 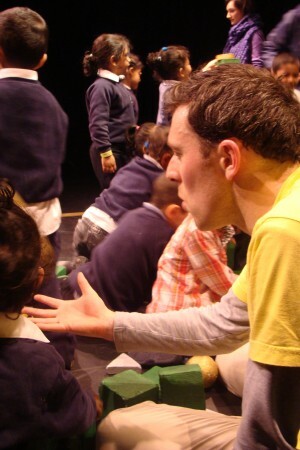 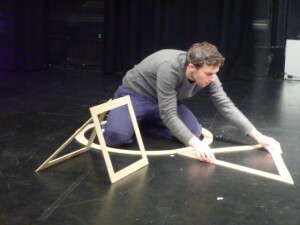 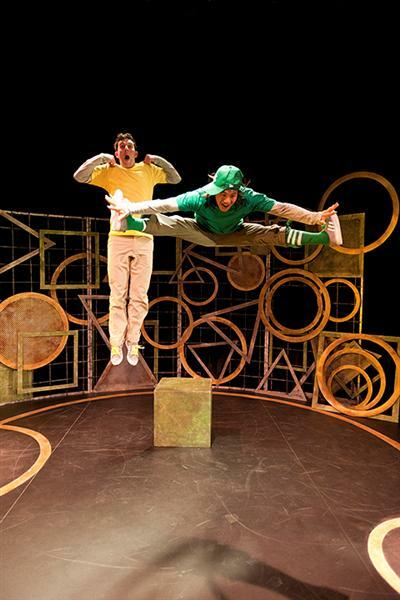 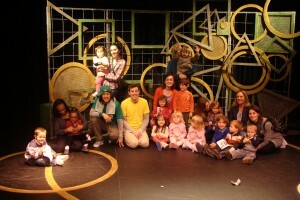 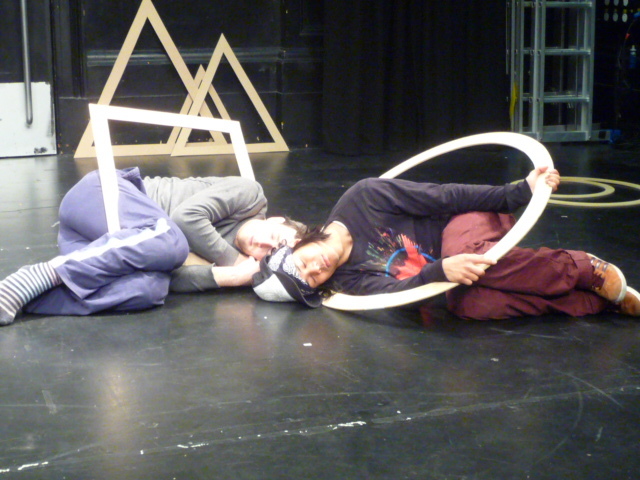 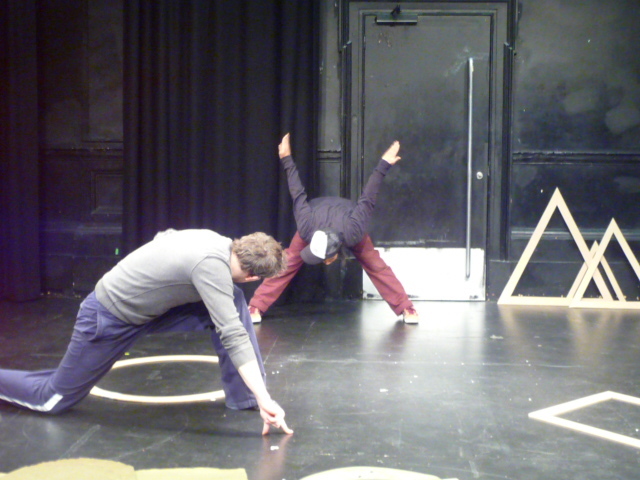 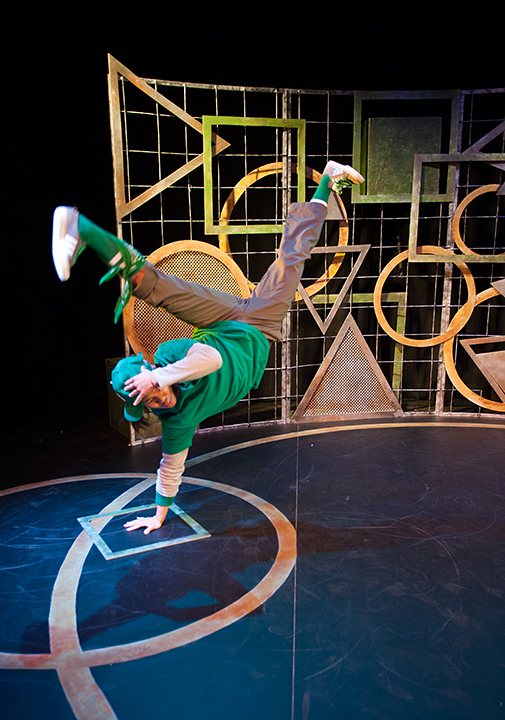 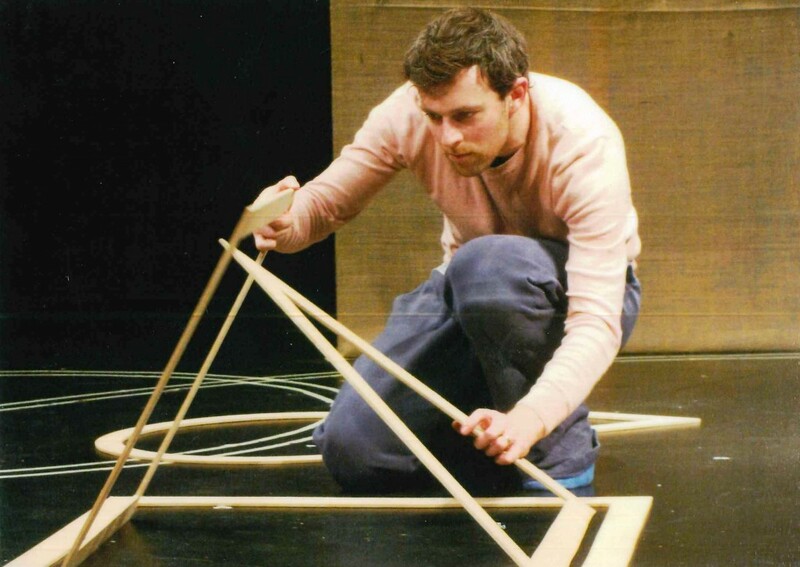 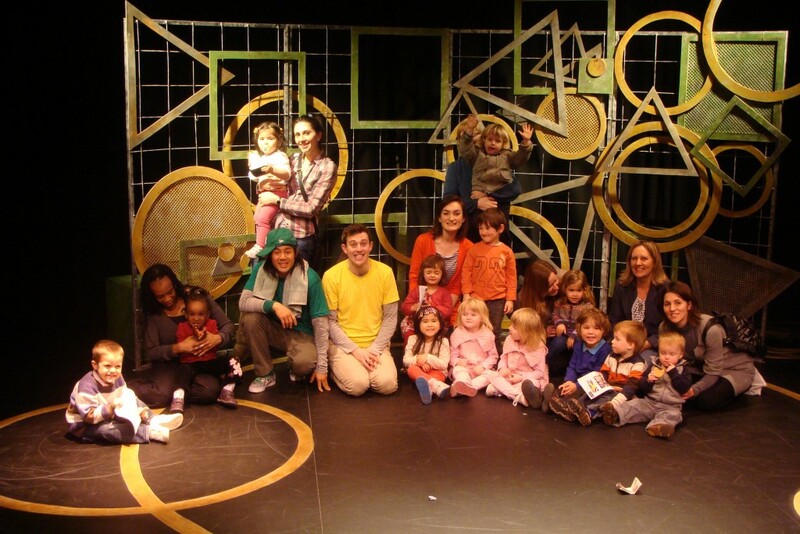 Each performance was followed by a play session on the stage for the audience to play with hundred’s of small versions of the shapes that featured in the production. 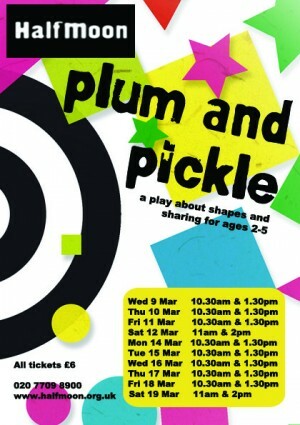 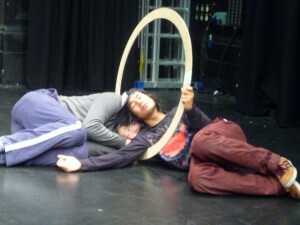 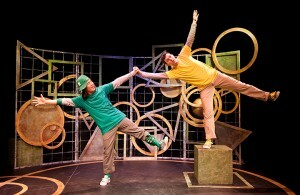 Plum and Pickle was created as part of Exchange For Change 2009. 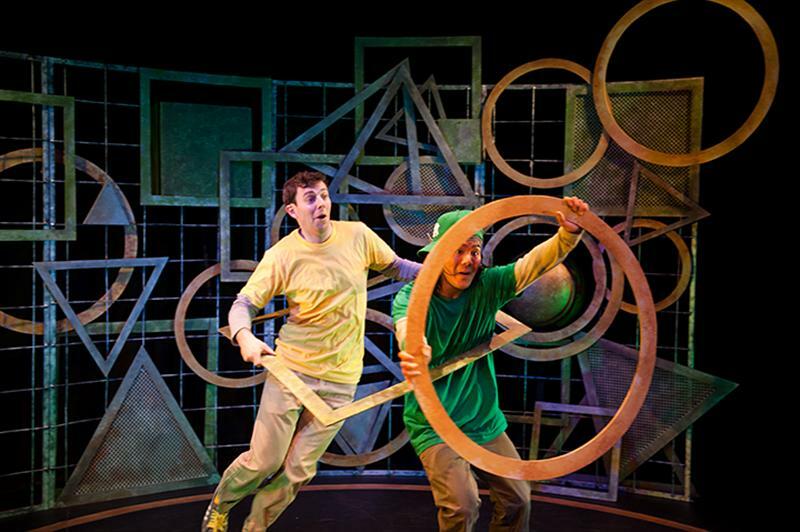 In this scratch phase, the piece was called The Magical Adventure of Spud and Plum.